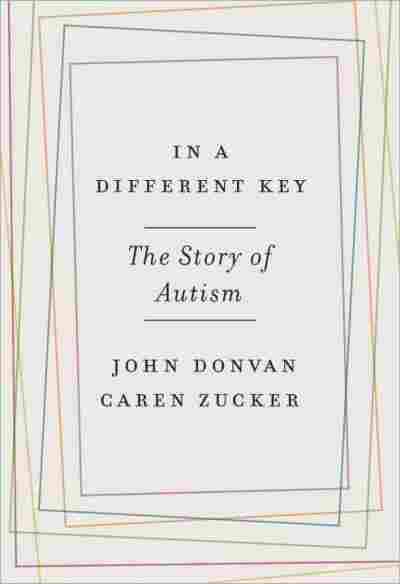 'In A Different Key' Traces History And Politics Of Autism : Shots - Health News Authors John Donvan and Caren Zucker say parents have been "unsung heroes" in spurring more research on autism, and in getting many more kids out of institutions and into schools. In the 1940s, a psychoanalytic approach to autism — "the refrigerator mother theory" — suggested that the condition was caused by bad parenting. In their book published this month, In a Different Key: The Story of Autism, journalists John Donvan and Caren Zucker delve into the history of the good and bad intentions, sometimes wrongheaded science and shifting definitions that can cloud our understanding of what has come to be called the autism spectrum. In their Tuesday conversation with NPR's Robert Siegel, host of All Things Considered, Donvan and Zucker tell of a particularly dark period in the 1940s when psychiatrists blamed autistic behavior on "refrigerator mothers" — emotionally distant women who, supposedly, didn't love their children enough. "This was a very, very poisonous idea," says Donvan. And it wasn't the last flawed notion about autism's roots. Highlights of the interview follow, edited for space and clarity. Siegel: How would you define autism? Zucker: Well it depends who you are actually, because autism is now seen as a spectrum, and the spectrum is so broad right now that there are people on one end of it that are severely, severely disabled and you can't help but call it a disability because people are literally injuring themselves — they can't communicate, they can't do things by themselves. On the other extreme end of the spectrum are people who can speak for themselves, they can manage their lives; they do not see autism as a disability but just as a different fabric in humanity. In researching their book, Caren Zucker and John Donvan tracked down Donald Gray Triplett (center), the first person officially diagnosed with autism. Now in his 80s, Triplett has had a long, happy life, Donvan says, maybe partly because his hometown embraced him from the beginning as " 'odd, but really, really smart.' "
Donvan: Because this condition is not one that has a biological marker, you cannot identify autism by a cheek swab or a blood test, but you identify it by looking at people's behaviors. That has allowed, over decades, for so many various interpretations of those key traits that the definition itself has moved again and again. 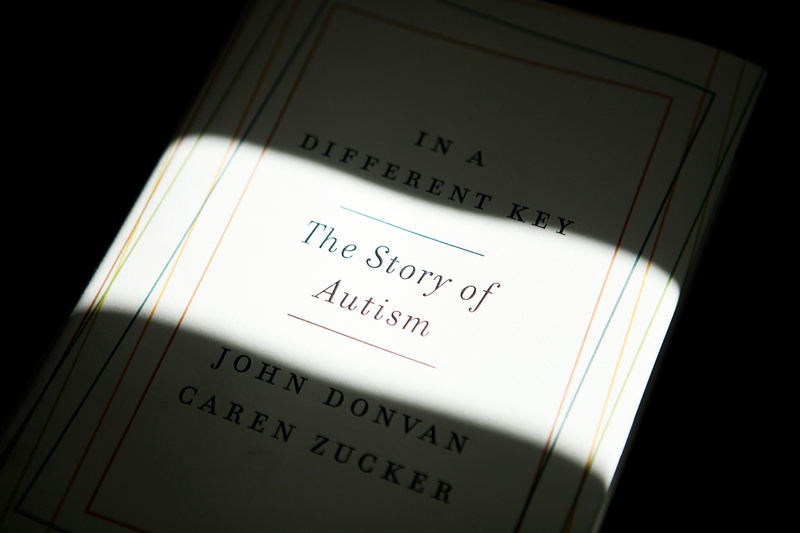 Siegel: The book describes how autism was first diagnosed, how it was named and explained. I want you to describe this: For years, there was a psychoanalytic approach that dominated the understanding of autism, and the cause was really held to be bad parenting. Donvan: It was called the refrigerator mother theory, and the idea was that children were somehow insulted — psychologically insulted — by their mothers, who, for some reason, signaled that they didn't love their children enough. And, as a defense mechanism, the children were said to have withdrawn into their own world. So this was a very, very poisonous idea. Siegel: Much of the story of autism is frankly about parents and about what parents have done to bring attention to the condition of their children — very often for the good. [But] sometimes — in the case of advocating a vaccine theory as the cause of autism — not for the good. 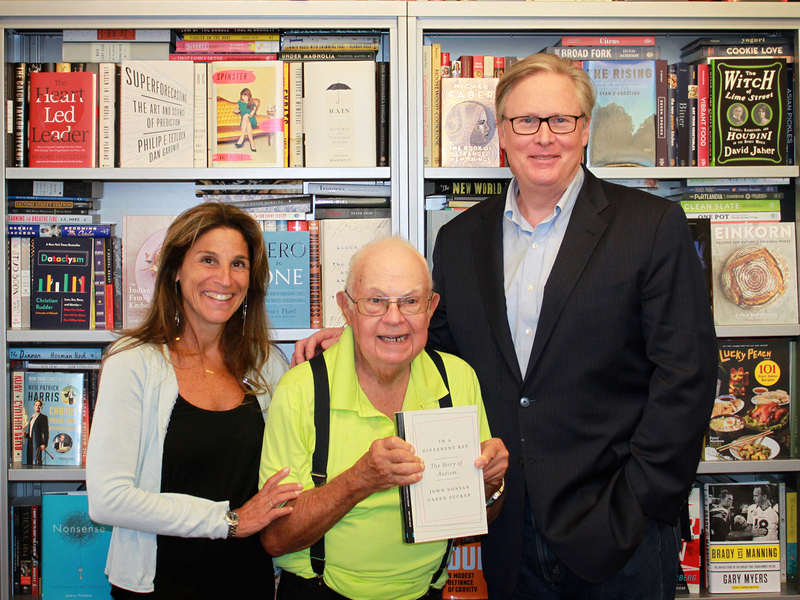 Zucker: Well, in our book, we really see the parent as unsung heroes. They literally change the world for children with autism. I mean, parents were told to put their children into institutions, and that was what the norm was 50 years ago. And they opened up the schools for them. [Before parents insisted on a change in policy] the schools were allowed to not have children with autism in them. So without parents, we wouldn't be anywhere near where we are today. Siegel: On the other hand, parents did lend their voices to, well, to the vaccine theory. And the fact that there are many voices saying something doesn't make it scientifically true. Donvan: Absolutely not. The story of autism has very often been the story of bad science, many, many times. In the case of the vaccine issue, yes, 15 years ago, when the question had not been investigated, it made sense to ask it; it was not a ridiculous question. But it was asked; it was answered, and the science settled it. Vaccines don't cause autism. Siegel: By the year 2000, the rise in the number of autism diagnoses became the subject of congressional concern. In hearings that year, Congressman Dan Burton of Indiana said, "The rates of autism have escalated dramatically in the last few years. What used to be considered a rare disorder has become a near epidemic." Has there been an autism epidemic? Donvan: The truth is that we don't really know whether there has been an epidemic. And I know that sounds strange to people, because they hear so much more about autism now than they ever have before, but what we think is that there has been an explosion in autism diagnoses, which is different from there being more autism. We started looking for autism, so found it. Also, at the same time, what we call autism became a much, much broader spectrum, and the definition kept changing over time. Siegel: Toward the very end of your book, you acknowledge the "neurodiversity movement." These would be people who are on the spectrum and who say, "Look, this isn't an illness. We don't want to be cured. This is a different way of being wired, a different way of your brain working." And there's an exchange between an activist of that sort with a mother whose son has autism. Describe what goes on between them. Donvan: It's a conversation between Ari Ne'eman, who is a very, very prominent and successful activist for the concept of neurodiversity. And Ari Ne'eman, whom we have a lot of respect for, has been very, very successful in promulgating the idea that people with autism should be accepted as they are. And he had a conversation with a mother named Liz Bell. Liz Bell is the mother of a young man named Tyler. In his mom's opinion, Tyler's experience of autism is very, very limiting in his life and his ability to dress himself, to shave himself, to feed himself, to go out the front door by himself and not run into traffic. And these are two very, very different views of what autism represents that come down to the fact that the spectrum is so broad that there is room for an Ari Ne'eman on it and there is room for a Tyler Bell on it. And the basic disagreement between them is whether autism is something that should be cured — whether the traits that limit Tyler's ability to be independent in life should be treated to make those traits go away. On one side, Ari is saying that it's suppressing who he actually is and his identity; on the other side is Tyler's mother saying that to treat him, and even cure him, of his autism would be to liberate who he is. Siegel: But it does pose a question: Since there is no biological test — as you say, "no cheek swab that defines someone's condition as being autism" — are we really clear that Ari and Tyler have the same condition, and that we should group them together on this spectrum? Or does the spectrum inevitably include everybody in the world? Donvan: Boy, that is the question of the moment in the autism conversation. How big is the umbrella under which we want to include people who have autistic traits? We don't look at the spectrum concept as necessarily the last word. We may end up splitting the spectrum again into different parts. And this tension between lumping together or splitting apart has been repeated again and again through the history of autism. We happen to be in what's called in the field a "lumper moment" in that the spectrum idea is dominant, popular — it makes a lot of sense to a lot of people. Siegel: Caren Zucker, is it any easier to be the parent of someone with autism today than it was, say, 15 or 20 years ago? Zucker: Absolutely. I have a 21-year-old son [with autism], and when I was trying to get services for my son, I was making it up, or I was on a list for 300 people to try to get into a program that could actually help him. And if you look back at how far we've come in 15 years, it's remarkable in terms of awareness, in terms of education. We have figured out what to do, to a very large extent, with the kids. But we have not gotten to the adults. And part of that is because adults weren't around, you know, 50 years ago — they were mostly in institutions. So that's really the heart of where we're also trying to go with our book — for people to see: Look how far we've come. Look at what these parents and advocates have done. But look how far we still have to go.